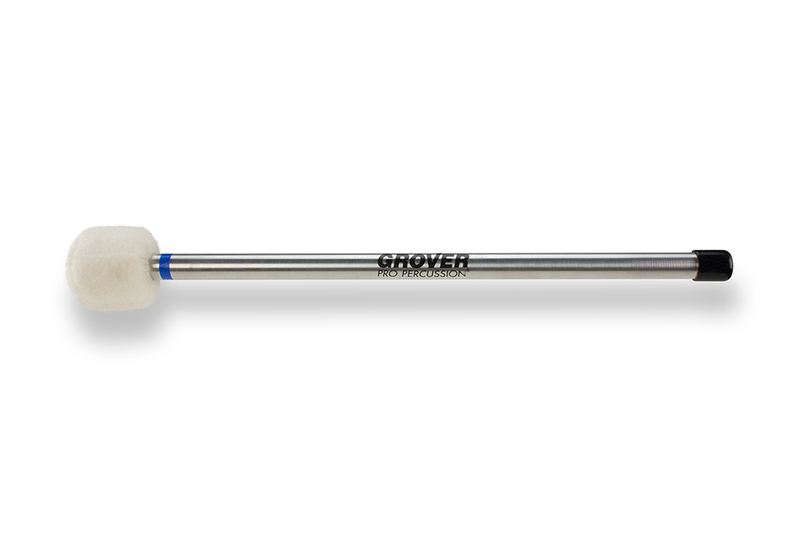 Our Aluminum Handle Bass Drum Mallets were inspired by a famous percussionist in Philadelphia. They feature a comfortable 5/8-in diameter aluminum shaft with a finish that is easy to grip. The weight of the aluminum handle will add more “punch” to your stroke, while bringing out more bottom end from any size drum. Solid maple cores are covered with the finest German felt, which is hand-sewn over the core. The oblong heads produce a dense and rich sonority, yet provide focus when needed. Color labeling allows for quick model identification. The Aluminum Series features four models: Legato (yellow), General (green), Staccato (blue), and Ultra Staccato (red). Also available are dual-sided mallets: Legato/Staccato and General/Ultra Staccato.